Seamless aluminum tube has uniform texture, consistent with the texture of the whole ground aluminum clad steel wire, no electrochemical corrosion. Good fatigue resistance profit by consistence of texture and structure of the whole ground wire. 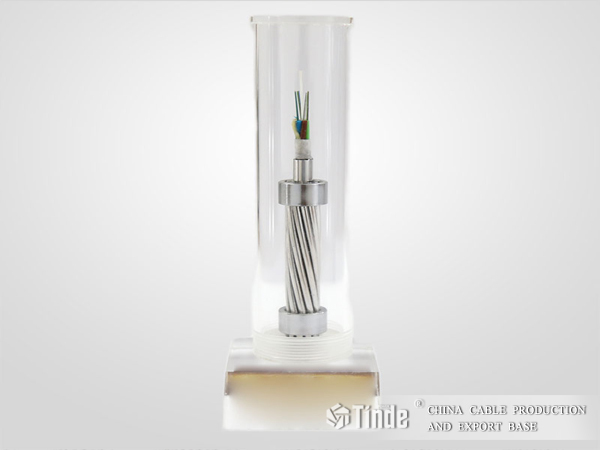 Optical fiber of aluminum tube OPGW are exist in PBT tube, the core which is clad with a layer of thermal insulation material, with good thermal insulation effect and good protection effect of fiber optics, and short-circuit current has little influence to transmitting performance of fiber optics. ►Seamless aluminum tube has uniform texture. ►Good fatigue resistance profit by consistence of texture and structure of the whole ground wire. 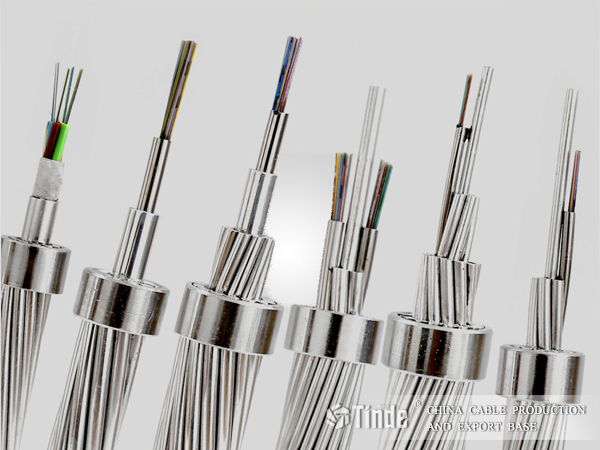 The core of aluminum clad PBT tube OPGW of Tinde has structure of stranding pattern, when the multiple optical fiber PBT tubes are into cable, a layer of seamless aluminum tube will be clad on it which act as the protection tube of optical fiber metal and then stranding one or more aluminium clad steel wires or aluminum alloy wires outside it. It eliminates the worries about the electrochemical corrosion among different metals and has very high application value.